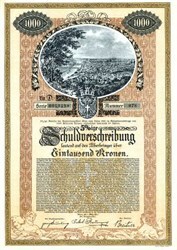 Beautifully engraved 1000 Crown Bond 60 year 5% bond and certificate from the City of Vienna dated 1921. 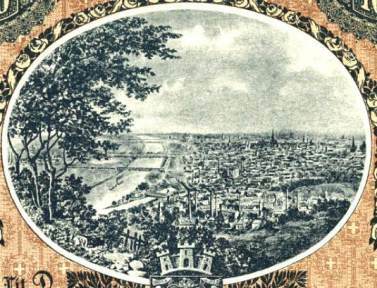 This historic document has an ornate border around it with a vignette of the city. This item has the printed signatures of the City's Officials and is over 87 years old. The bond was issued in 1921 to help finance the rebuilding effort after World War I. It is written in both English and German, and has over 27 unused coupons.